This article first appeared in City & Country, The Edge Malaysia Weekly, on November 6, 2017 - November 12, 2017. The rejuvenation George Town has undergone in the last nine years is a well-told story. Lesser known, but no less interesting, is the parallel journey that Think City Sdn Bhd took. 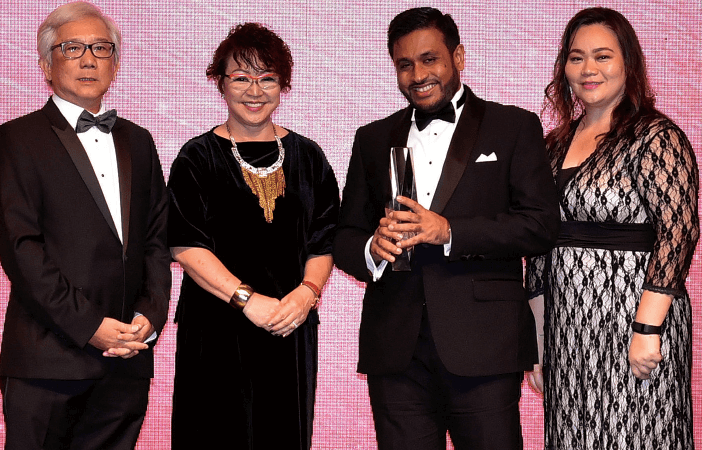 The regeneration of George Town is one of the winners of The Edge Malaysia Property Development Excellence Award this year. The Khazanah Nasional Bhd subsidiary started small. It managed the RM20 million allocated to George Town after it was listed as a Unesco World Heritage Site in 2008. In its early days, Think City was heavily criticised for holding the funds for George Town as the money for Melaka — Malaysia’s other World Heritage Site — was held by the state government. But the agency was part of Khazanah’s broader strategy to rejuvenate the Penang capital and attract more talent to the state and the northern region. Today, a lot of the hostility has faded and Think City plays a big role in facilitating urban regeneration on a larger scale. First, it has gone from managing things in George Town to doing similar work in Butterworth, Kuala Lumpur and Johor Baru. It is also in the early stages of activity in Klang and Kuching. Think City is also fostering collaboration between local councils and other stakeholders to improve public amenities and liveability. More importantly, its initiatives serve as a test bed for approaches to urban regeneration that is not commonplace in Malaysia. When Think City was managing the George Town Grants Programme, the plan was not merely to dish out money but to spark more public-private collaboration. “Because it was the first public grants programme in the country, it had to be administered transparently and in collaboration with the local community,” says Dr Suraya Ismail, who was instrumental in setting up the programme. First, it had to communicate with all the stakeholders to build trust and source ideas from the community. “If you want a vibrant city, the ideas must come from the businesses and communities that live there. They know best what is good for that city. That is the starting point of the bottom-up approach,” says Suraya, who is currently the director of Khazanah Research Institute. Through small grants, Think City provided financial and knowledge boosts for hundreds of tangible and intangible heritage and cultural projects. “We wanted to make sure that the tangible and intangible aspects of the George Town World Heritage Site also had some synergy,” says Suraya. This bottom-up approach is what Think City executive director Hamdan Abdul Majeed calls “the power of the small” — a paradigm shift that calls for Malaysians to participate in urban rejuvenation instead of waiting for local councils and town planners. “Urban rejuvenation begins with a conversation between the city, its managers and citizens. The stakeholders have to agree on what kind of city they want their children to inherit,” says Hamdan, who is also the director of the Khazanah Penang representative office. It is a refreshing change, but not necessarily an easier way than the top-down approach Malaysia is used to. As Suraya explains, the bottom-up approach and community engagement all sound well and good, but they require a whole lot of persistence and patience. “You must understand that it takes time. You are also investing in the process, not just the output. People forget that sometimes,” she says. Think City’s real impact can be seen all over George Town even if it does not rush to claim credit for playing a role. The impact is in the repaired and restored dome of Masjid Kapitan Keling as well as the upgraded 144-year-old Seh Tek Tong Cheah Kongsi, or better known as Cheah Kongsi temple. The impact can also be seen in the restoration of the 177-year-old Makam Dato Koyah, the upgraded pocket park in Armenian and Acheen Streets for the local residents to enjoy and the various books, projects and civil society programmes Think City has funded to advance intangible cultural vibrancy. According to Peter Cheah, the president of the Cheah Association, Think City’s partial grant of RM400,000 towards the RM3.5 million restoration of the Cheah Kongsi temple may not have been substantial in financial terms, but it was certainly impactful. “Even though the grant given by Think City was not much, it was helpful to convince my community to approve the concept plan for restoration of this heritage building and turn it into reality,” says Cheah. Think City has meticulously documented its impact on the World Heritage Site. In the first five years, the George Town Grants Programme distributed RM16.3 million, almost half of which went towards building conservation (49%). The rest was channelled to shared spaces (25%), cultural mapping (16%) and capacity building (11%). According to a 2014 impact assessment by Australia-based consultancy Geografia, every RM1 given by the grants programme sparked RM2.25 of additional spending. More importantly, the funds helped restore 87 buildings and reduce building vacancies. Think City has been involved in more than 270 projects, some of which have been completed while others are ongoing. They include projects related to place making; the arts, heritage and culture; advocacy; capacity building and inclusive spaces. The agency has committed investments of RM20.9 million, sparking co-investment of RM46.4 million. Think City has also worked on initiatives to stave off some of the pressure local residents face as their city becomes a hot spot. One example is the Affordable Renting Scheme, which Suraya says draws on the experience of the Asian Coalition of Housing Rights. “Rent control was difficult to manage as a top-down approach. This was the bottom-up approach. You must give people the option to stay. You can clean up the place so that the people — the rich, the poor, the not so poor — can all live in the same city. That is what being inclusive is all about,” she says. According to Think City’s annual report, about a dozen shophouses have come under the Affordable Renting Scheme. One example is a partnership between Think City, the Cheah Family Trust and Pulau Tikus state assemblyman Yap Soo Huey. Think City and Yap’s office provided grants on a co-investment basis to improve the façade of 11 shophouses belonging to the Cheah Family Trust. In exchange for the grants, the family trust agreed to fix rental rates for their tenants for five years. This is an example of what is possible to help stem the pressure of rising rents. The George Town Grants Programme may have ended in 2013, but Think City is carrying on under the George Town Transformation Programme. In November that year, the agency joined forces with the Aga Khan Trust for Culture to develop a plan to align conservation and development in the World Heritage Site. One of the major results was the George Town World Heritage Site Special Area Plan gazetted by the Penang government. The engagement also resulted in the Planning and Design Guide for the Public Realm, which provides the local authorities and private developers with a set of best practices when implementing projects in the city, as well as a recommendation that a set of demonstration projects be carried out, for example, to enhance open spaces, streetscapes and back lanes. Think City and the Aga Khan Trust for Culture are part of a tripartite collaboration with the Penang government through the George Town Conservation and Development Corp (GTCDC), which was set up to implement projects associated with the Planning and Design Guide for the Public Realm. GTCDC is coordinating the ambitious Fort Cornwallis and North Seafront Master Plan, which will change the face of George Town when completed, says Khor. For Think City, the bigger mandate it has in phase two will enable it to do some of the things it was less successful at in the early days. Khor admits that the agency was not successful when it tried to intervene in public spaces in its earlier days. “Not only did we lack the experience or mandate, we had yet to build up trust in the community and with the local councils,” he says. But now, Think City is in a position to play a role in the rejuvenation of the public realm, says Khor. The agency also has plans to help create a new economy for George Town around culture and education to counterbalance the economy built on hospitality and tourism. The Planning and Design Guide for the Public Realm has identified monuments, buildings and intangible cultural heritage elements as focus areas for sustainable development. They include proposals to upgrade the Penang State Museum and reactivate national monuments such as Fort Cornwallis. “In the future, if all goes well, George Town will be a much more resilient place. It will also be a more inclusive space and a demonstration that you can live with diversity and have a liveable city where initiatives are powered by the people,” says Khor.